“Flint River in Flint Michigan” by U.S. Army Corps of Engineers, photographer not specified or unknown – U.S. Army Corps of Engineers Digital Visual Library. Digital Visual Library home page. Licensed under Public Domain via Commons. NPQ couldn’t be more tired of hearing how nonprofits should be run like businesses, a statement that is still brightly aped as revelatory even decades after it was first introduced. But yesterday, the Christian Science Monitor took on the limitations of such views when applied inappropriately to government—in particular, in the case of the poisoning of 8,500 children in Flint, Michigan via its low-cost water system. 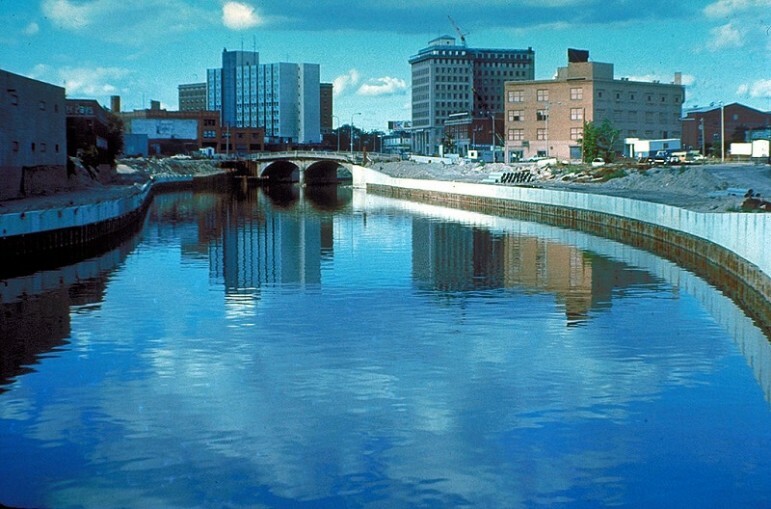 A Flint Journal Freedom of Information Act request recently surfaced information suggesting that an outbreak of Legionnaire’s disease that killed 10 people was also connected to the befouled water. In 2014, as it prepared for a more permanent transition, Flint started to pump its water from the Flint River, which caused lead to leach out of older household pipes in this largely low-income community. What does this have to do with being businesslike? Michigan’s governor, Rick Snyder, openly prides himself on his pragmatic approach, promising to pull Michigan out from its financial tailspin through the use of business practices. But, according to Thad Kousser, a political science professor at the University of California in San Diego, this particular crisis epitomizes the limitations of an entrepreneurial method of governance. “What this crisis points out is one of the limits in running a government as a business,” says Professor Kousser, commenting that the problem stemmed from what appears to have been a tradeoff between cost-cutting measures and public health. “The private marketplace works because of competition, but governments often have monopoly,” he notes. “When Volkswagen screws up, you can buy a Ford. But when lead starts coming out of your tap, you can’t just turn on another tap. Last week, President Obama issued a federal emergency declaration, pledging $5 million to help the city. This week, he said he is appointing a water czar. Snyder has requested $28.5 million, which will cover only the most immediate needs in Flint; these expenditures are only a peek at the actual long-term costs, and only in financial terms.